My History, Our Heritage is a community history project run in south east Cornwall from November 2006 to February 2007 to encourage enjoyment, involvement and interest in local and community history. It was run by SECMF and was made possible thanks to a grant from the Heritage Lottery Fund and the National Lottery. 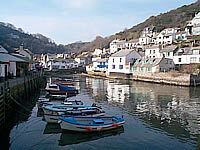 A number of day events in towns and villages across south east Cornwall were held to collect and record material for local archives and museums. The events were a chance for the public to record (either digitally or on special memory cards) their memories of their local area, local stories or snippets of folklore. As well as collecting material for local archives and museums, the project was used to display existing material from the area in museums from around south east Cornwall. At these events, over 100 items were copied onto the project’s digital archive, spanning 120 years and showing everything from football teams from the 1920s, Edwardian school photos and village carnivals from the 1980s.